Welcome to KidsATVsale.com! My name is Jerry and I am the father of a six-year-old son. My son, like the majority of boys, loves different vehicles: cars, motorcycles, and especially – all-terrain vehicles (ATVs or Quads). His first ATV was a present for his birthday when he became three years old. His happiness was unlimited. I even felt a little bit embarrassed with the other guests at a holiday party, because he hardly paid any attention to the other presents. It was a red 6V battery mini quad by Fisher-Price. He drove back and forth at a speed of about 2 miles per hour, you should have seen his eyes. My eyes would be the same if I was presented with a brand new Porsche. Even his grandparents noticed his feelings when he was sitting on this ATV. That’s why last Christmas they bought him a new, more advanced electro-ATV Peg Perego XP850 Polaris Sportsman. This is a completely different level – faster quad bike rides, the capability of overcoming relatively large obstacles, and now my son is obviously the happiest kid in the world. But all these pleasures were preceded by a lengthy search for a suitable model. 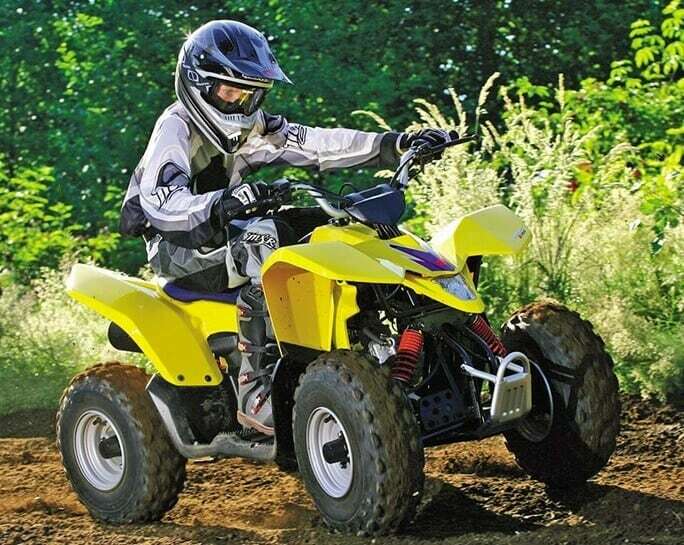 I read customer reviews, kids’ ATV specifications, I watched videos of different models, etc. All these things were done in order to make the right choice. I hope that this site will help you with the choice of a great riding toy for your child. I continue to research this theme, and I will create new articles and reviews constantly. I will be grateful to you for your feedback. If you have any comments or suggestions about the site – please contact me. You can also subscribe to my monthly Kids ATV Newsletter and get fresh news, tips, offers, ratings and discounts for riding toys. Let’s help each other to make our children happy!